Lou Jost reports on Fundación EcoMinga rangers who worked bravely in challenging conditions to restore access to remote parts of the reserves. 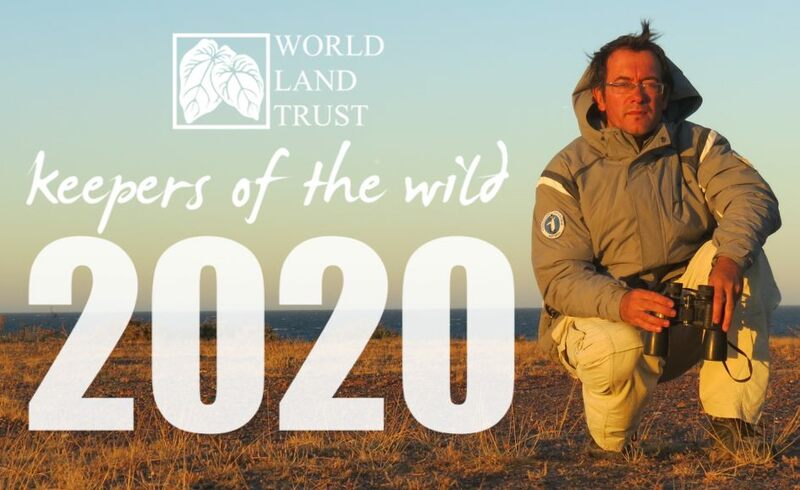 The rangers are funded by the Keepers of the Wild programme of World Land Trust. 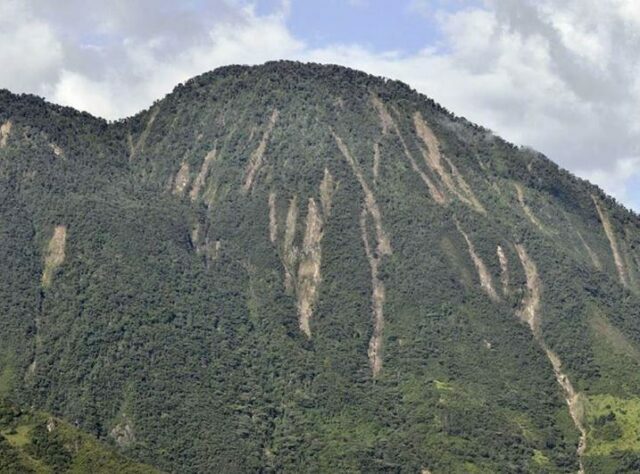 The 2015 rainy season was the worst in many years, causing landslides that destroyed houses and roads through central Ecuador where Fundación EcoMinga (EcoMinga) is based. The photo (top right) shows the dramatic effect of the rain. It is a mountain in front of my house, streaked with fresh landslides. Since EcoMinga’s trails often cut across the lower slopes of such mountains, parts of the reserves became nearly inaccessible. The main work of the Keepers of the Wild over the past few months has been to try to rebuild trails across these landslides, and to remove downed trees that blocked them. It was difficult and dangerous work. Fallen timber blocked the rivers. © Fundación EcoMinga. Luis, Santiago, Fausto and Jesus Recalde worked as a team to restore paths, including the one to Cerro Candelaria Reserve, pictured. What the images don’t show is the drop of several hundred feet almost straight down to the river below – and a wall of hundreds of feet of loose material above them too. 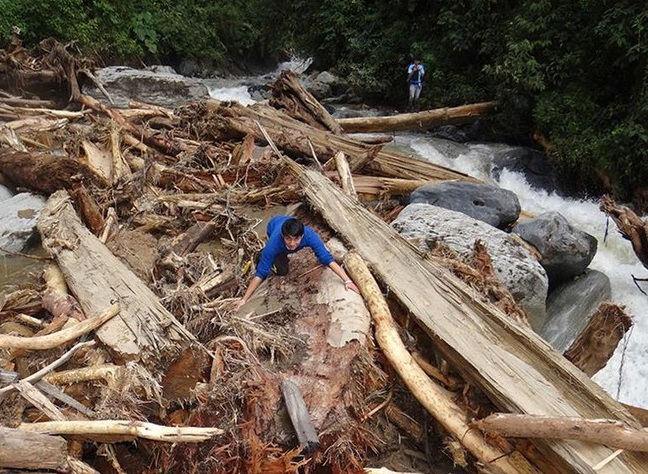 The massive floods and landslides even blocked the rivers with fallen timber. 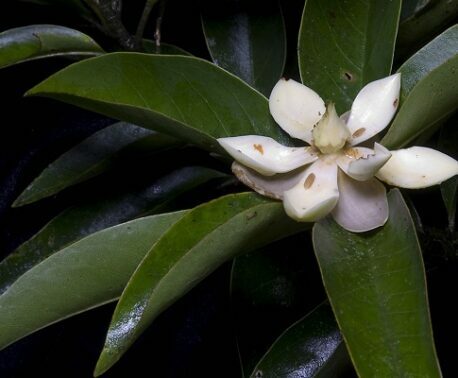 Although the severe weather caused extensive damage to paths and trails, the silver lining in all of this was the exposure of new salts and minerals, which attracted an array of butterflies and animals. You can support the invaluable work of EcoMinga’s rangers by donating to the Keepers of the Wild programme. As well as maintaining the tracks and trails throughout EcoMinga reserves, Luis, Fausto, Jesus and Santiago carry out vital work. 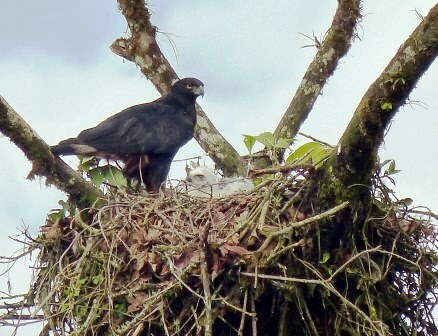 Their roles including aiding scientists and researchers who visit the reserve, tracking and monitoring species and educating the local community.